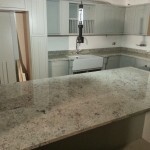 Indian jet black granite worktop, Meriden Solihull - Contemporary Stone Ltd. 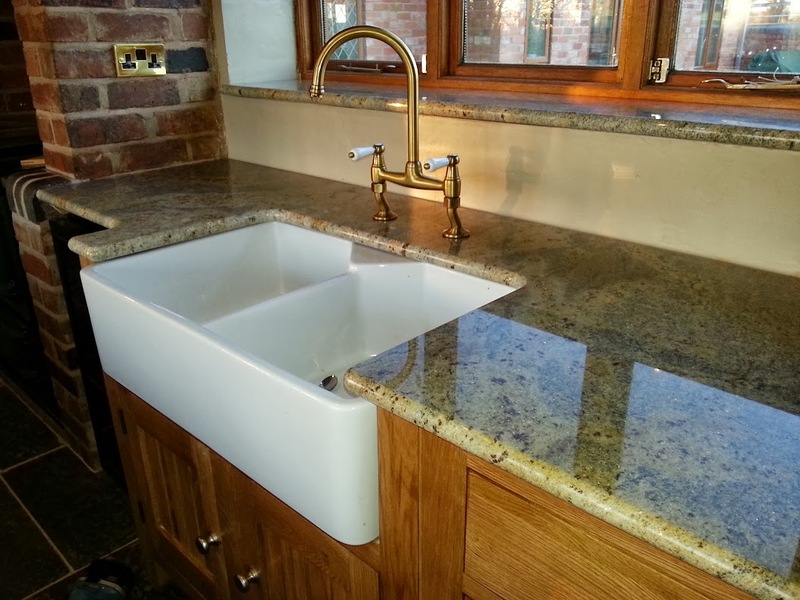 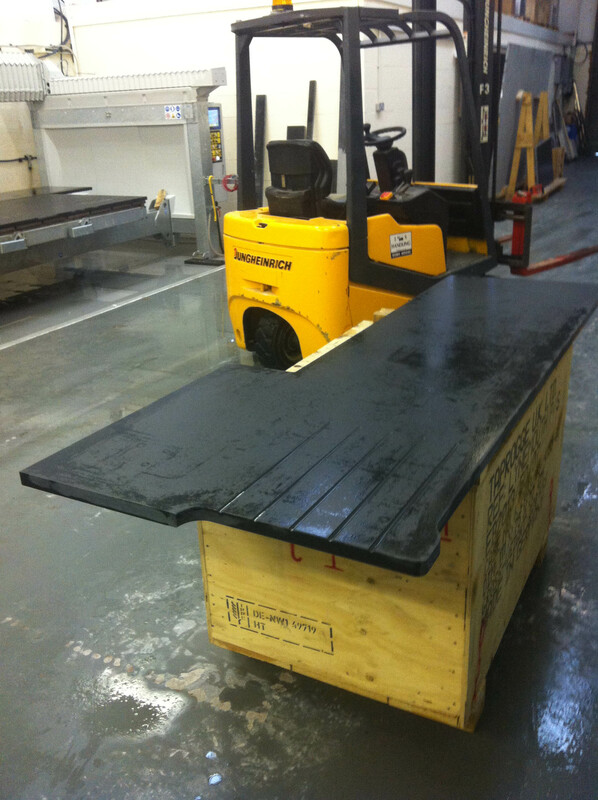 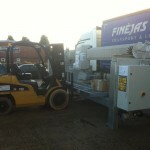 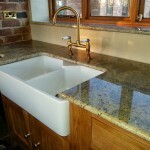 This worktop is an L-shape with belfast sink, it also has a large island. 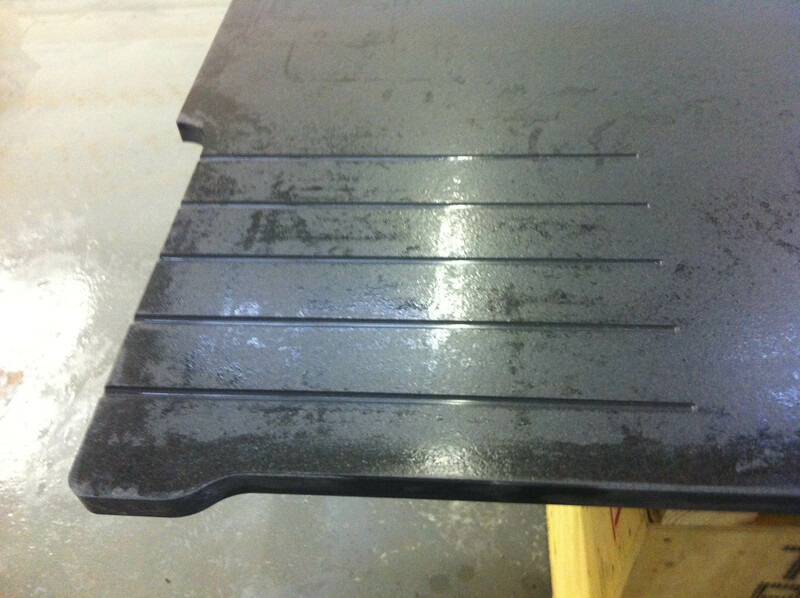 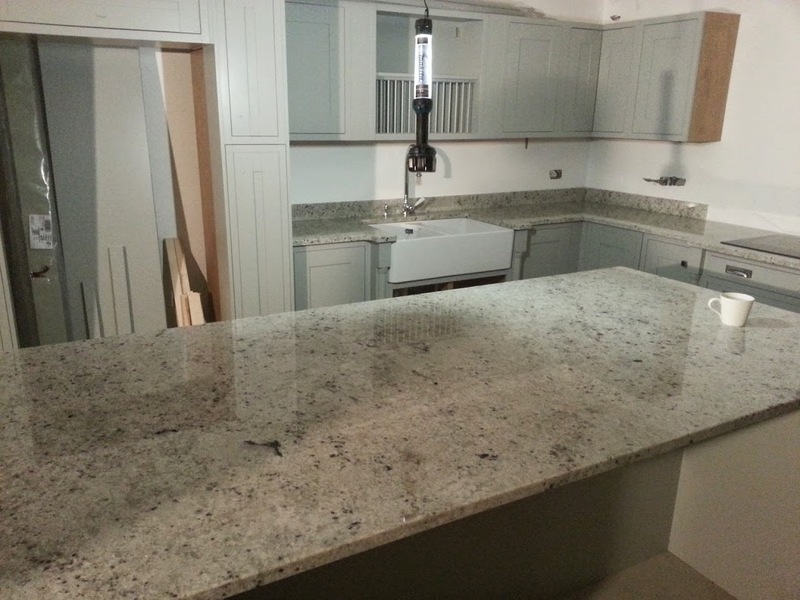 The granite here was a black skintouch finish, which is a brushed and honed surface. 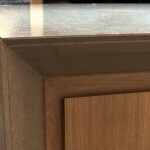 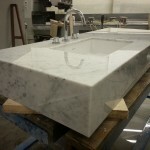 It has drainer grooves and curved details on the corners by the sink to compliment the design of the cabinets. 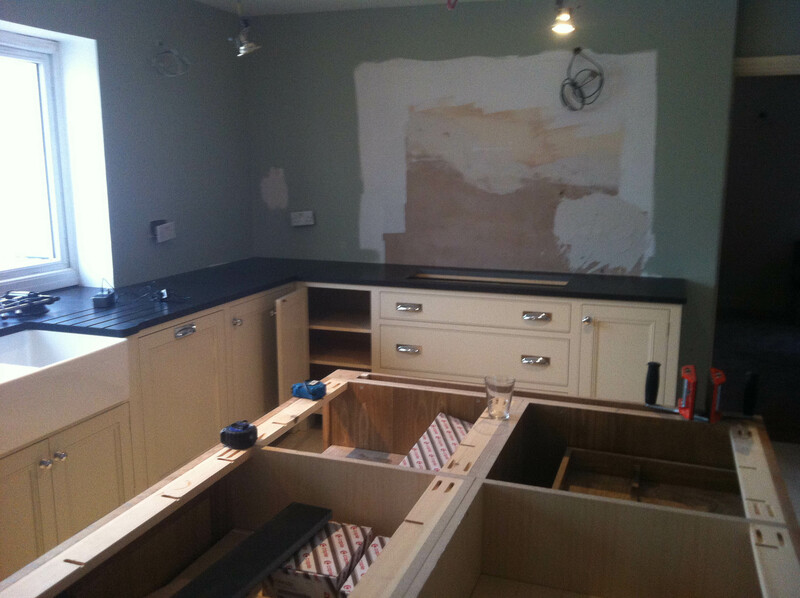 The hand-made cabinets are by Bank interiors.